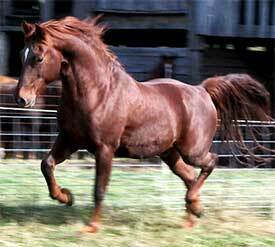 The Quietude Stud has produced 316 clean blooded foundation Lambert Morgan Horses during the last forty-five years. We have preserved this ancient and rare Morgan family for the future of the breed. There are only two pure families left in the Morgan breed today, the Lamberts and the Woodburys. "Representing an incredible long-term effort on the part of a single breeder, this rare Lambert family, which holds such value for the breed, is now poised at a crossroads where it could continue well into the future, or be lost forever." Few Morgan breeding programs today can be said to concentrate the blood, as well as the type and appearance of a specific historic Morgan family. 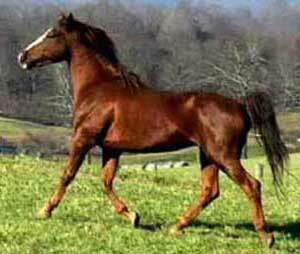 The Lambert Morgan breeding program of the Quietude stud established by Susan and Shannon Hanley presents a remarkable study in the blending of pedigrees and rare old bloodlines which can be followed through many decades. The Lamberts have been tremendous ambassadors for the breed, and currently there are more than 300 Lamberts living in over 30 states as well as several provinces in Canada, and also may be found in England, Switzerland, Belgium, Bermuda, and New Zealand. 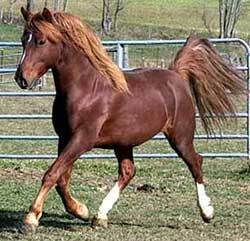 Lamberts have also competed and excelled in virtually every discipline for their owners, and this amazing historic gene pool has served to strengthen breeding programs for many other breeders as well. Representing an incredible long-term effort on the part of a single breeder, this rare Lambert family which holds such value for the breed is now poised at a crossroads where it could continue well into the future, or be lost forever. These are Morgan faces, Morgan bodies, Morgan minds through and through, and I recognise that elusive quality that drew me to the breed years ago. 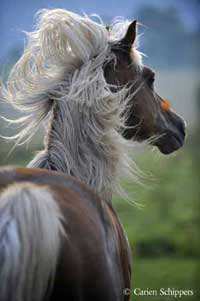 These horses are to me a treasure trove of the old Morgan: the longevity, soundness, beauty, tractability. Their hardiness and power. Their fire and their gentleness. And Quietude itself is a magical place where, as Susan puts it, the foals appear in the morning like flowers that bloomed in the night. is the award winning 'Dog Boy'. 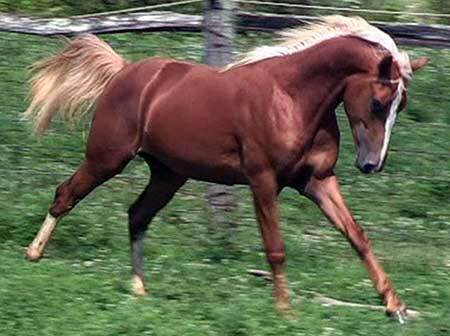 Cezanne is a Criterion grandson. During the 1800's the Lambert family was the most respected, well known and admired Morgan family in existence. 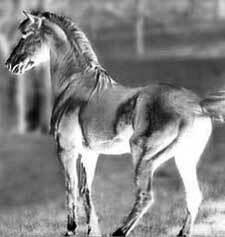 During the 1900's it would have disappeared but for J.C. Brunk who rescued it from extinction. 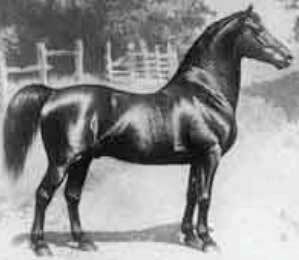 Then came Francis Bryant who continued Mr. Brunk's Lambert breeding program. Now, the Lambert family represents a history of some hundred years of diligent breeding by Brunk, Bryant and the Hanleys. By Brenda Tippin noted Morgan Historian. 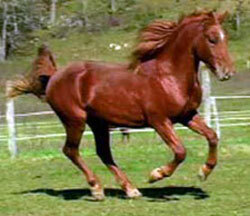 Watch the video of a majestic Criterion as a thirty years. "Such a rich treasure of bloodlines you have! 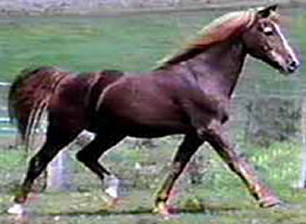 It is always a treat to go to your page and compare your horses, I think you have achieved a more consistent type that is true to the rare old Morgan bloodlines than most other breeding programs combined - yet they are all so unique and each has their own special beauty! And all are marked not only as clearly Lambert but strongly bear Criterion's stamp." Quote from Kathyrn Bigelow The film director for Zero Dark Thirty, The Hurt Locker and Detroit. 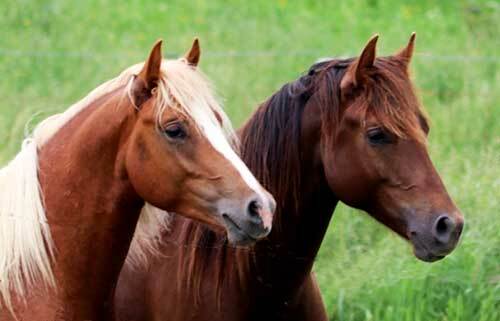 "Your horses are absolutely magnificent!!! 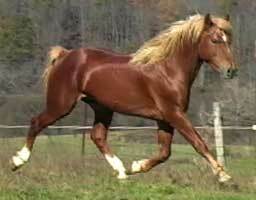 At the risk of repeating myself, you not only breed horses, you breed art." Welcome to the QuietudeStud in winter. Photo of Quietude Seneca Rocks, at 14.2, competing against tall Warmbloods and winning second place. "So far, he has been named by AMHA number 1 Morgan in Open Competition at Third Level and at Fourth Level. His Third Level average score of 69.9538% was the highest average score for all the winners above Training Level. 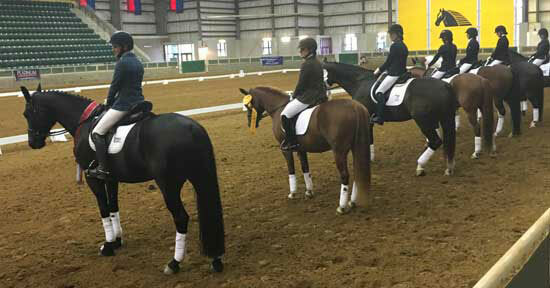 He has also been named by the US Dressage Federation as number 1 Morgan in Third Level Musical Freestyle and Number 2 Morgan in Third Level Open. 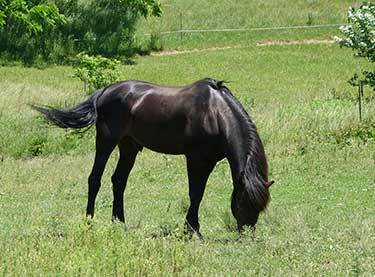 The North Carolina Dressage and Combined Training Association has named him number 1 among all competing horses at all levels in Open Musical Freestyle. Needless to say, these are truly exceptional results. It really makes me so happy to see what he and Elaine are achieving together. 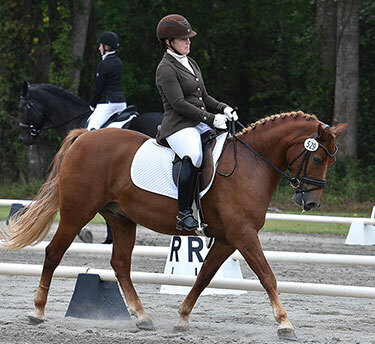 To add to his 2018 USDF Awards, Seneca has been recognized by the Morgan Dressage Association as Fourth Level Open Champion; Third-Fourth Level Freestyle Open Champion; and Third Level Open Reserve Champion. "I wanted to update you on Mackie's year end, so far. She is Champion for CT Morgan, Reserve Champion nationally for AMHA Middle Distance, we won a Gold Medal from ECTRA for Middle Distance. Not sure what else for Ectra, as things are not calculated yet. Pretty excited! Iwill let you know what other awards they receive. Mackie will be 18 in April, she needs 95 more miles to get her 2000 miles." So for the year, Mackie was Nat'l Reserve Champion, MD for AMHA, placed in LD, was champion for CT Morgan, Champion for ECTRA MD, and won a gold medal in middle distance! 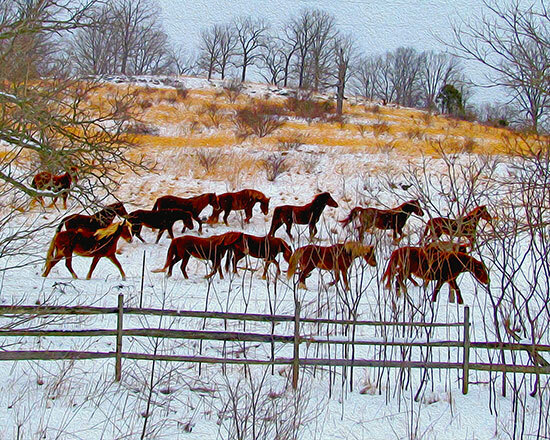 Two-year-old stallions: Our Lambert Morgan artists. A yearliing grandson of Criterion. 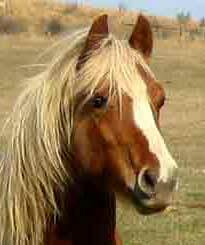 Cimarron is hale and hearty at the age of thirty--two-years. 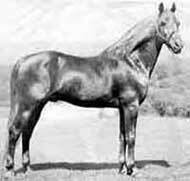 While his true origins remain hidden in history, Figure is thought to have been sired by True Briton, a horse widely respected for his excellence and known as a sire of quality horses. 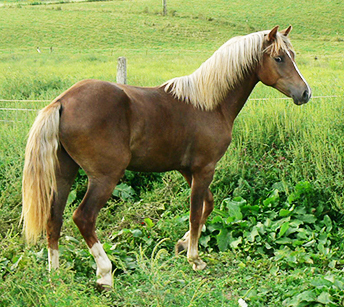 Figure's dam, was "...of the Wild-air breed, of middling size, with a heavy chest, of a light bay color, with a bushy mane and tail - the hair on the legs rather long, and a smooth, handsome traveler." 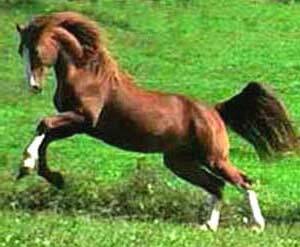 His ability to outwalk, outtrot, outrun, and outpull other horses were legendary. 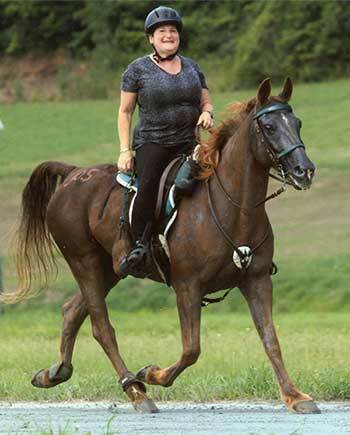 His stud services were offered throughout the Connecticut River Valley and various Vermont locations over his lifetime. However, his most valuable asset was the ability to pass on his distinguishing characteristics, not only to his offspring, but through several generations. The Lamberts are the oldest pure family in the Morgan Breed. Written in 1911 by Charles H. Willamson VT under oath. I remember Daniel Lambert very well;—saw him when he died; he would stand about 15 hands, and he looked quite big when harnessed; would weigh about 1000,—would have to be pretty fat to weigh much more than that; he had fine style and beauty and was a square trotter; he founded a distinct family that would run all the way from 14.1 to 15 hands; they were horses of substance and you would think they were all trotters; were as good gaited as you could pick out; I don’t know that I ever saw a pacer of the old Black Hawk breed; I don’t remember any Morgan horses that were pacers, they were all trotters. 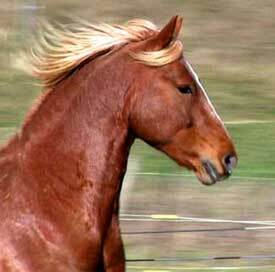 Speaking of all these horses, their enduring road qualities were good; you never could drive them so far in one day but what you could get them back the next; the Lamberts have shown at fairs all through the Valley, and always have carried off the blue ribbon. Read the original oath written more than 100 years ago. 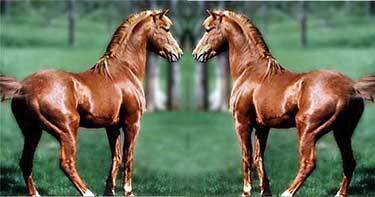 Jubilee King needs no introduction as he is noted throughout the country, having been used at stud in the West for so many years and being the sire of so many "pretty" Morgans, most of them with flaxen mane and tail. KING knew he was on exhibition and when led out by Mr. Wyma n took his place on the bank overlooking the rivers and almost said "Here I am." 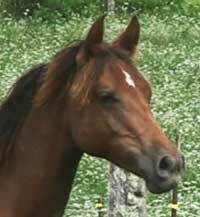 Next came SPRINGFIELD, who was raised from a colt by Mrs. Bryant. 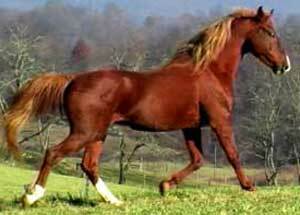 He is sired by Lippitt Sam by Ashbrook and out of Paragraph. He is a grandson of Jubilee King. A young son of King, named JUBILEE'S COURAGE, who is coming five, presented a beautiful picture of a Morgan. 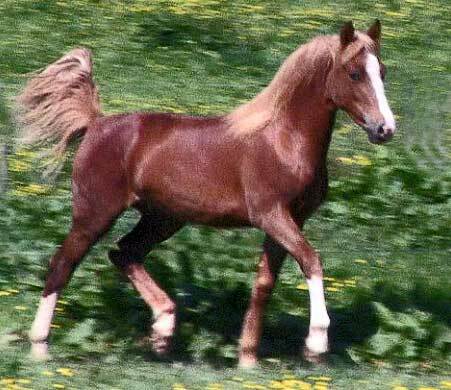 He has the flaxen mane and tail. 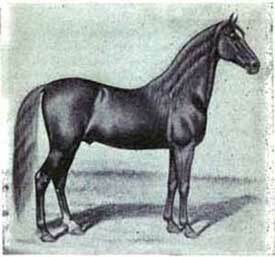 His dam is Townshend Lass by John A . Darling. he floated over the ground."